This entry was posted in News on April 16, 2015 by sangavai. NAB2015 Attendees: Try out our microAMP and big VU meters! Calling all NAB 2015 attendees! Test our MicroAMP and get a chance to try out our BIG VUMeters! Just head over to Booth# C2541, plug in your own mix, and watch the big VU meters respond to the sound! This entry was posted in Products and tagged vu meters, big vu meters on April 14, 2015 by sangavai. From setup to showtime. Our NAB experience so far, told in pictures! For those of you on the floor at NAB 2015, or following along at home, hope you are having a great time watching! Here's Ward-Beck's NAB experience so far, from setting up to show time! This entry was posted in News and tagged NAB Show, NAB 2015, nab on April 14, 2015 by sangavai. Introducing the POD34, the newest in our range of top quality, low-cost audio problem solvers! Suitable for table-top or rackmount use, the POD34 is the go-to pro audio amplifier, designed for use in studio, pro AV, mobile trucks and broadcasting environments, where quality is essential, space is limited and budgets are tight. This unit comes ready for use with balanced analog audio and 110Ω inputs. POD34 offers left, right, and stereo volume controls along with a stereo headset jack which mutes the speaker outputs when used. AES lock indicator and source selection controls all located on the front panel. Looking to get your hands on this new product? Want other compact, affordable and high-quality solutions for your broadcast problems? Contact Ward-Beck Systems now! Email sales@ward-beck.com or call 416-335-5999 for more information. + Download Information Sheet here. FIND US AT NAB 2015! We will be showcasing the new POD34 at the NAB 2015 Trade Show RIGHT NOW! If you are going to NAB 2015, please find us at Central Hall, right on the border of Acquisition & Production and Radio/Pro Audio. You will see us at Booth# C2541! This entry was posted in News, POD, Products and tagged pods, pod34, new products, new product announcement, NAB 2015 on April 13, 2015 by sangavai. We are live with our flashy new LED sign at NAB 2015, that we designed and built ourselves! For those curious about how we went about making this sign, please read on. 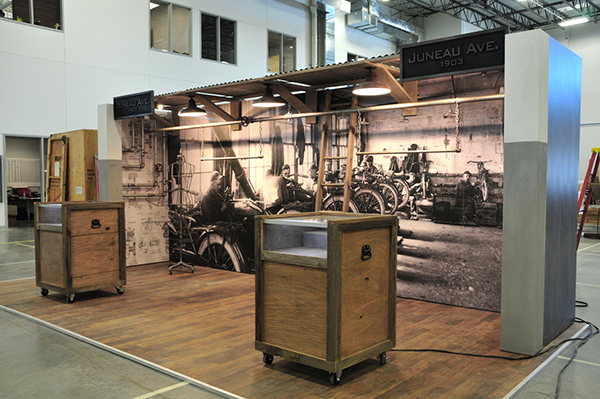 We used the PSOC pioneer kit to make an LED-lighted sign for our company’s booth at a trade show. Our purpose in building this sign was to A) Save on costs by re-using old materials we had lying around,as we are a small business with limited budget and B) Design a beautiful and eye-catching sign that would go well with the rest of our custom-built trade show booth. This entry was posted in News and tagged NAB Show, NAB Booth, NAB 2015 on April 13, 2015 by sangavai. Building our NAB booth - final installation! This entry was posted in News and tagged NAB Show, NAB Booth, NAB 2015, metalwork, metal shop on April 11, 2015 by sangavai. Bring your own speakers, 'cause we're AMPing up our Micro line! BYOS - Bring Your Own Speakers! Introducing the microAMP/110 & microAMP/75, the newest in our range of top quality, low-cost problem solving audio solutions. The microAMP is designed specifically as a ‘back-pack’ for existing passive monitor speakers when only 110 Ohm or 75 Ohm digital feeds are available. The microAMPs mount directly to the back of your passive monitors offering a cost effective solution when only digital signals are available. Give your existing passive monitors a new lease on life in a digital world. microAMPs are the go-to pro audio amplifiers, designed for use in studio, pro AV, mobile trucks and other broadcasting environments where quality is essential and budgets are limited. Want to see the microAMP in action? Find us at NAB 2015! We will be showcasing the microAMPs at the NAB 2015 Trade Show. If you are going to NAB 2015, please find us at Central Hall, right on the border of Acquisition & Production and Radio/Pro Audio. You will see us at Booth# C2541! This entry was posted in News, Products and tagged new releases, new products, new product announcement, micro series on April 10, 2015 by sangavai. “It went just as planned, and nothing went wrong!” said no trade show organizer ever. NAB is no exception. You’ve spent days designing a beautiful exhibit, hours poring over layout diagrams to ensure all your products and promotional materials works, painstakingly making dimensions to the nearest outlet. And then it happens. The chance tear of a poster. Or the flickering out of a single lightbulb. Or your phone dies and you vaguely remember leaving the charger by your bedside back home two nights. It’s the kind of petty mischance that can ruin a beautiful exhibit that took months to prepare. The unexpected is well, unexpected, and can ruin months’ worth of work in one fell stroke. That is where your Trade Show Survival Kit comes in. A well-stocked emergency survival kit can help you weather many of the common issues that crop up come tradeshow time, from equipment to health to spillage issues, and it can be crucial in determining the success of the show. Perhaps you can’t expect the unexpected, but you can at least expect that the unexpected will happen, and plan accordingly for it. Clear Tape: Trade show usually means posters. Lots and lots of posters and handouts and flyers. If an important one rips, the best thing is to have an extra lying around that you can put up instead. The next best thing is to have some clear tape to patch it up with. Tape it neatly enough, and no one would be able to spot it from a distance. 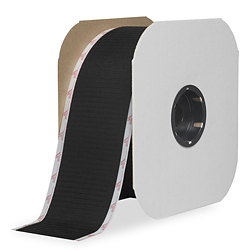 Double-sided carpet tape and duct tape: Tape is great for sticking on any last minutes items, and for covering scratchmarks and tears on your gear from a distance. Our booth’s dominating color is black, so that’s the color of duct-tape we’ll be bringing along. Whatever colors dominates you booth, make sure to get some duct-tape in those colours…you never know when you’ll need it! Velcro: Remember to bring along both the hook and the loops! Velcro is handy for everything, from hanging up posters to holding equipment together. At Ward-Beck, an important use we have for them is for taping the large “WBS” banner to the backframe of our booth. The banner is so large that it is printed out in multiple columns, which are then Velcro-ed to the frame. The Velcro interface makes it easy to adjust the layers so they fit perfectly together, while still ensuring that the banner will firmly stay attached to the booth’s back frame. Velcro-ing our banner to our booth back frame. Office supplies: This one is pretty self-explanatory. Notebooks and pens to keep notes, take down contacts, etc. Staples, stapler clips, paper clips, a ruler…you know the deal. Tape measure – Since we are going to be shipping our booth dismantled to the venue, and setting it up there, a good tape measure will definitely come in handly. Even the slightest measurement off can lead to problems when you’re dealing with structures, even temporary ones. Tool box and sewing kit– You don’t want to be at a trade show without a basic tool box. A hammer, screwdriver, pliers and allen wrench can help deal with many emergencies that might arise in setting up the booth. A small sewing kit would come in handy too, for everything from fixing wardrobe malfunctions to stitching up unraveling cable socks. Extension cords: You never know when the nearest outlet will stop working and you’ll have to run a line over to the other side of the place. Not to mention the nearest outlet might not be very near at all. Extensions cords should be a must for any electronics-heavy trade shows like NAB. Breath mints: Ready to chat up your next big client and you're ruefully remembering the garlic pasta from last night? There’s a breath mint for that! Zip ties: Handy for tying up cables, holding together equipment, just about everything else. Cameras – We all have smart phones these day, but keep a separate high-res camera for taking pictures of the exhibition and attendees. This way, you have a special set of high-res pictures that you can use in the future for promotional materials. Batteries and adaptors for all your various electronics: Bring along the right adapters for your computers, laptops, phones, etc. If they run on batteries, make sure you bring along the right kind of batteries for each device. For example, at our NAB Booth, we are going to be controlling the lighting effects of our sign with our phones, so it would be disastrous if they ran out of power without any way for us to recharge them. Make an inventory of all the electrical appliances you are bringing along, and list out all the chargers and adapters for them that you would need to take with you. Medicine kit: Band-aids and alcohol for cuts and scrapes. Some aspirin, Tylenol and ibuprofen for when you’ve been standing on the trade floor for five hours, running on minimal sleep and food. Snacks and refreshment: Bring snacks like granola bars and trail mix to keep your energy up, as you’re going to be on your feet for a long time on the exhibit floor. Stock up on some bottles of water too; prices for water bottles tend to shoot up directly proportional to the vendor’s proximity to a trade show venue. Scissors and box cutters: Tradeshows generally means boxes upon boxes of show equipment to unpack. 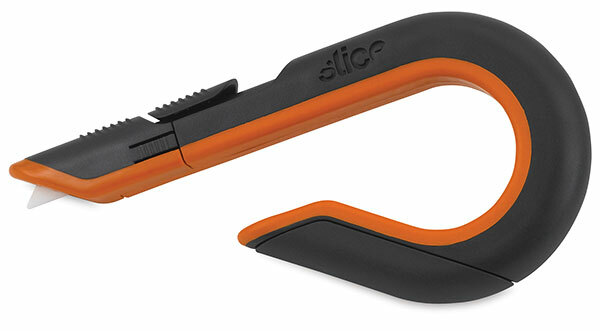 A good box cutter will go a long way in ensuring that boxes can be cut open with maximum speed and minimum damage to vital limbs. Scissors can do the job too, but you can carry certain kind of box cutters even through U.S. customs, making them less hassle. Just do your research before hand and ask TSA! Tissues and wipes on hand to clean up any unsightly spills: Picture this. You’re jet lagged, you’re tired running on 2 hours of sleep from the night before, and you spill your morning coffee all over the nice table cloth. The last thing you want to be doing right then, is to be running around searching for some paper towels. This is by no means an exhaustive list. Everyone’s kits will vary depending on what kind of business you run, and what kind of trade show you are attending. One last thing, a must-have in anyone’s survival kit: Coffee. Lots and lots of coffee. This entry was posted in News and tagged NAB Show, NAB Booth, NAB 2015, nab on April 8, 2015 by sangavai. Our new product is match-ical! Signal-handling headaches have met their match! Introducing the microMatch, the latest in Ward-Beck’s Micro series of small, affordable products designed solve big signal handling headaches. The microMatch converts a consumer stereo unbalanced audio pair to professional balanced line levels with proper termination. It also provides a separate balanced mono mix output. If you require balanced audio from your consumer playback device, the microMatch is the product you are looking for! microMatch is perfect for use in studios, pro AV, mobile trucks and other environments where quality is essential and space and budgets are limited. The microMatch is an affordable, high-quality and portable converter. Moreover, it can be easily powered by a standard USB. There is no tedious installation process, or exactingly specific power supply needed. Just plug it in and start using the microMatch! The microMatch plugged into a smartphone, to convert the unbalanced audio from the phone to balanced audio for professional playback. This is just one application out of many that the microMatch can be used for! Want to see the microMatch in action? Find us at NAB 2015! We will be showcasing the new microMatch at the NAB 2015 Trade Show. If you are going to NAB 2015, please find us at Central Hall, right on the border of Acquisition & Production and Radio/Pro Audio. You will see us at Booth# C2541! This entry was posted in News, Products and tagged new releases, new products, new product announcement, NAB Show, NAB 2015, micro series on April 8, 2015 by sangavai. When we last touched on the matter on our new booth for NAB 2015, we had already decided on a theme, and had some preliminary plans drawn up. However, it was still only an idea storming around our heads, a tentative gameplan yet to be followed through on. Now, though, it was time to put that plan into action. This entry was posted in News and tagged NAB Show, NAB Booth, NAB 2015, metalwork, metal shop on April 7, 2015 by sangavai. 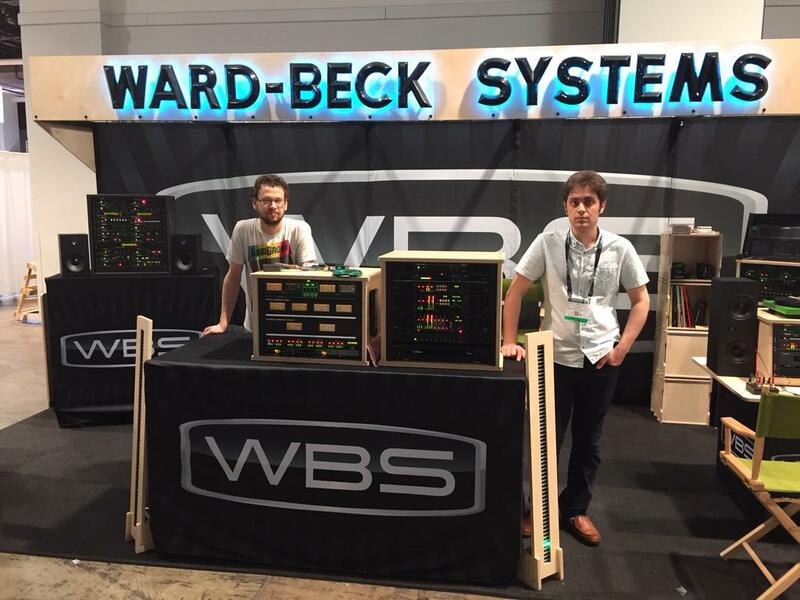 Rackin’ up the record player – NAB 2015 | Ward-Beck Systems – First By Design – Est. 1967 on Bring your own speakers, 'cause we're AMPing up our Micro line! Eugene Johnson on From setup to showtime. Our NAB experience so far, told in pictures!